The below debate took place on Govinda Dasi’s Facebook profile in May 2013. It is mainly a debate between Jahnu Das aka. Jahnu Dvipa Dasa who is editor for BBT International on one side and Kim Møller, Torben Nielsen and Ajit Krishna Dasa on the other side. Jahnu Das is from Denmark but now lives in Mayapur where he is engaged in translating BBT International’s 1983-edition of Bhagavad-gita in collaboration with Lalitanath Dasa. Even though informed about all the arguments against the book changes, they are still intent on doing this job dispite the outcry of many Danish devotees who are concerned about the editing of Prabhupada’s already authorized books. Jahnu Das used to be disciple of Harikesh Swami (who started BBT International and was behind the closing of Prabhupada’s original BBT). After Harikesh Swami’s fall he took reinitiating from Jayapataka Swami. In the below I have deleted postings unrelated to the debate going on between Jahnu Das, Kim Møller, Torben and myself, Ajit Krishna Dasa. I have also deleted certain elements from Facebook such as “like” buttons, dates etc. Jahnu Das Srila Prabhupada personally asked Jayadvaita Swami to edit his books. Maharaja has a web-page, where he thoroughly explains and justifies each and everyone of his corrections and rationally points out the editorial mistakes of the previous versions of Srila Prabhupada’s books. To say that Srila Prabhupada’s books should not be edited at all is just plain dumb and not what Srila Prabhupada instructed his editors to do. Kim Møller Prabhupada gave the edit service to several devotees which does not indicate that they must continue to change His book in an on going flow, a few obvious corrections can be accepted, but this massive change is simply out og hand. And to this web-page Jahnu Prabhu mentions, every singel so called justification has step by step been refuted, the claim that Hayagriva didnt consult SP personaly also was refuted since both Hayagrivas own book gave other evidence and also from Brahmananda Prabhu and Govinda Dasi came other evidence and the so called “original manuscript” turned out to be a hoaxy attempt. Jayadvaita Swami him self have admitted that Prabhupada never told him to continue edit and change His books after demise. Lets not forget Prabhupada accepted, loved and preached from His original books, so my humble suggestion is that it is simply plain dumb to think we can do a better job. Kim Møller That is a minor thing, like i said, a few obvious mistakes can be corrected, but not this on going massive change. Kim Møller Why comment on changes when they are forbitten by guru sadhu shastra in the first place, its called ARSHA PRAYOGA you cannot change a single word, even if there is a mistake. So it would be foolish to talk about these changes at all, plain logic. Jahnu Das IOW, when you say ‘massive ongoing changes’ you don’t know what you are talking about. Jahnu Das I don’t see anything in that link that warrants your statement – massive ongoing changes. Maybe you can help, give us just one example of such massive ongoing changes. Torben Nielsen Try to at look “Arsha Prayoga“- site in Denmark, Jahnu prabhu. Your own birthcountry. This is so obvious that you have to willfully deny it. Maybe it has to do with the fact that you, Jahnu prabhu, is translating the Gita into Danish from the unauthorized Jayadvaita Swami edition? Kim Møller Because of lack of argument no need to be offensive although i agree, im just an empty barrel. Jahnu Das In my mind, to accuse JAS of changing the message of Prabhupada’s books, like these critics do, now THAT’s offensive – especially when they cannot give one single example to back up their blitherings. Kim Møller You want eksample to the fact that you cannot change Acaryas litterature ??? Jahnu Das I think we have established that you have absolutely no idea what you are talking about. Torben Nielsen We invite you, dear Jahnu Prabhu, to come to the site “Arsha Prayog” , in your own language even. You´ll get plenty of evidence there. Torben Nielsen But you seem to run away every time you get some opposition. Torben Nielsen It is a standing invitation. Torben Nielsen Also to Lalitanath prabhu, who is your co-editor. Prabhupāda: Where it is? Brahma-saṁhitā? Prabhupāda: No, no. Jagannātha cannot correct. That bad habit he must give up. Rādhā-vallabha: So we should just leave it exactly. Prabhupāda: Oh, yes. You should not be more educated. Prabhupāda: Nothing of the… This of should be strictly forbidden. Rādhā-vallabha: So no corrections. That makes it simple. Prabhupāda: They can divide the synonyms. That’s all. Prabhupāda: That is his tendency, to correct. That’s very bad. He should not do that. Rādhā-vallabha: So I’ll just forget this, then. Prabhupāda: The system is: whatever authority has done, even there is mistake, it should be accepted. Prabhupāda: Asa-prāya(?) That is ha… He should not become more learned than the authority. That is very bad habit. Rādhā-vallabha: He was always wondering how he should think. So I’ll tell him that. He thinks, “If I think I see a mistake, what should I think?” I’ll tell him what you just said. Prabhupāda: He cannot see mistake. He is mistake. (laughter) He should… That is being done by this rascal. I don’t want. Torben Nielsen Why? It´s spiritual. Torben Nielsen It is a standing invitation, Jahnu. Kris Pawlak Srila Prabhupāda:” The system is: whatever authority has done, even there is mistake, it should be accepted.” that is a great standard, we should treat all these mistakes with respect, but we should still realize them for what they are. Minor mistakes do not detract from the core message. Kim Møller Ehhh “simpel fact” where is this fact?? where is the quote saying; you continue edit my books for academics after my demise ? The books that the academic community was so impressed from, that He was so proud of, that dragged thousands of people to Krishna consciousness, books that are standart teaching material in universities. Before they went to printing he wanted them edited of course and they were (also for academic) by Hayagriva who is academic, in all respect, Jayadvaita Swami is not. Lets not forget the quotation is there saying; Actually i wrote these book for my disciples. However lets see the quote Jahnu Prabhu. Kim Møller Can it be more clear ?? Jahnu Das Still, Srila Prabhupada asked his disciples to edit his books so they would be presentable to an ‘educated’ audience. He gave Jayadvaita Swami carte blanche to make any changes he deemed necessary to that end. Jahnu Das I have it personally from Maharaja. Are you calling him a liar? Jahnu Das I begin to understand why you have not received initiation even after your 20+ years of contact with ISKCON Need I remind you, that everything you know about Prabhupada you know by the mercy of his disciples? Ajit Krishna Dasa Yes, either JAS is a liar or all the people who got the opposite instructions are liars. We now have black and white: NO CHANGES! Ajit Krishna Dasa Jahnu writes that he has it personally from maharaja! That is not strong evidence at all. Strong evidence are the direct statements by Prabhupada. On top of that we have all the instruction from Ramesvara Prabhu, Govinda Dasi and others who contradict JAS’ statements. Jahnu Das That goes for you, too. If it wasn’t for Prabhupada’s disciples we wouldn’t know anything about Krishna, Srila Prabhupada or his books. Ajit Krishna Dasa And we do not need to find massive changes. Prabhupada became furious even over very small changes! Jahnu Das Still he asked his disciples to edit his books so they would be acceptable by so-called educated people. Ajit Krishna Dasa So what? That is not related to this issue! Ajit Krishna Dasa I could have gotten something much better if the BBTI hadn’t changed the books! Then I could have made even more progress. Ajit Krishna Dasa He never asked them to change AFTER his departure. He asked them not to change anything. We have reference on that – many many references. Ajit Krishna Dasa Jahnu, you are talking about initiation – are you initiated? What is the qualification of a guru? 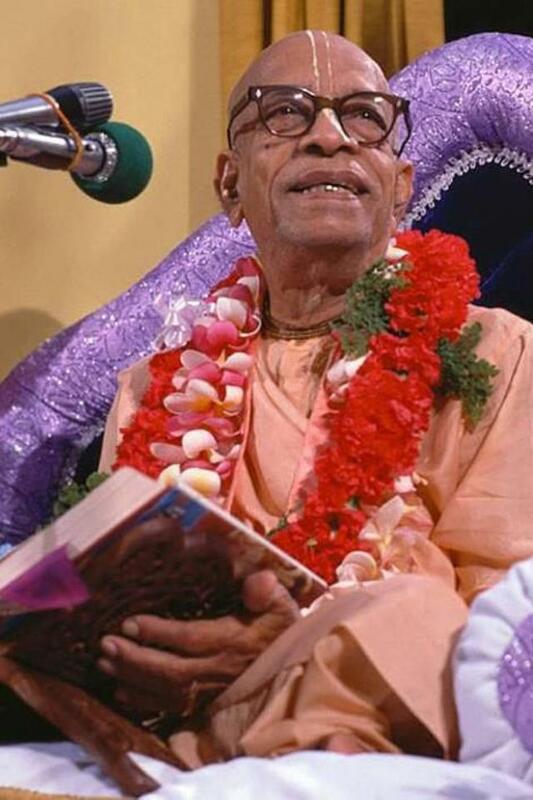 Jahnu Das Do I need to remind you, that if it wasn’t for the diligent work of Srila Prabhupada’s disciples, you would never have heard of Krishna, Srila Prabhupada or his books? Ajit Krishna Dasa Jahnu, so are ALL Prabhupada disciple correct? Just because they gave us mercy, doe it then follow logically that they must be correct? If yes, then why do they differ on the matter of the book changes? 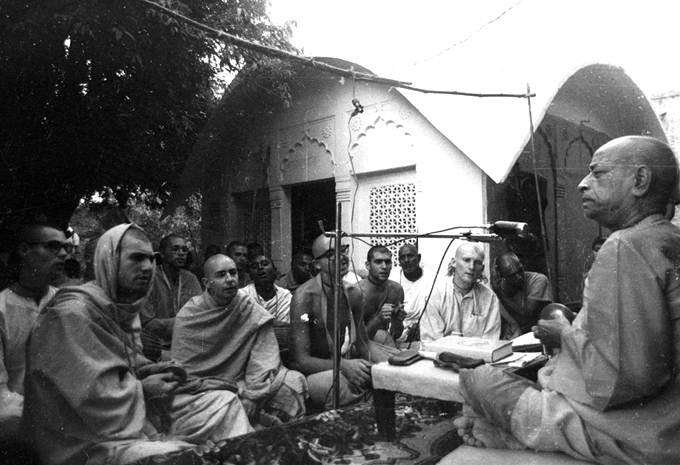 Which Prabhupada disciples should we listen to? Even better that a discussion about that would be for you to put forward som LOGICAL arguments for your case. Jahnu Das Actually, I think it is Rupa Goswami who advises us to not take part when there are disagreements between groups of superior Vaishnavas. Ajit Krishna Dasa As far as I know: If a disciple lies to his godbrothers by telling them that their diksa-gura elected him to be acarya (a pure devotee mahabhagavata) when that in fact was not the case, then he can not be a guru. In fact by doing this he is revealing he is an offensive kanistha. Now you put 2 and 2 together. Ajit Krishna Dasa Jahnu, so why are you taking part? You have been taking part for more than 20 years now. So I guess you are the last one to refer to such a quote by Rupa Goswami. Secondly, you are arguing in circles, since the very topic for this debate includes a discussion about WHETHER OR NOT these editors are actually superior. I say they are not. Ajit Krishna Dasa Jahnu is GETTING PAID by the BBT International despite Prabhupada’s clear instructions on the matter:”in 1974 we had , at the Mayapur festival , we had decided that we were going to give Acyutananda Swami some royalty for writing the songbook . And with that royalty he was going to use it to preach in South India which was his preaching field . Prabhupada found out about it and was furious . Just furious . He said , “No one in the BBT gets a royalty , even myself. Why he has written something , he get s a royalty? ” And Prabhupada was so angry over this principle that nobody can take a royalty for himself from the BBT , even if he ‘ s going to use it for Krsna, it doesn’t matter. So on this principle he was very angry and he forced Acyutananda to turn in all the money.” (Ramesvara Dasa)There are more quotes like that.So Jahnu Das has vested interests is promoting Jayadvaita Swami and the book changes. Jahnu is himself translating the unauthorised 1983 edition of the gita into Danish. Ajit Krishna Dasa Okay, fair enough! I apologize if that is the case. But that is not what I have heard from other Danish devotees. Ajit Krishna Dasa The arguments on the website of BBT International have been debunked. The most blatant fault of the BBT International that they think they should go back to first drafts. Of course you never go back the draft without the permission of the author. Especially when you do not know enough about how the author worked personally with an editor to come from the draft to the end product. Ajit Krishna Dasa The new interviews with Ramesvara Prabhu ought to be the final nail in the BBT International’s coffin. The debate is over. Admit defeat. Apologize to everyone, especially Prabhupada. And let us work together in a loving spirit to spread Prabhupada’s books, As They Really Are. disciples were hearing of this ecstasy , getting letters from him, and knowing that this was the most dearest thing to their spiritual master spurred them on to unbelievable sacrifices. Without explaining why Jahnu Das left the debate at this point. (So is Srila Prabhupada’s Bhagavad-gita As It Is not as purifying as the Ganges? !